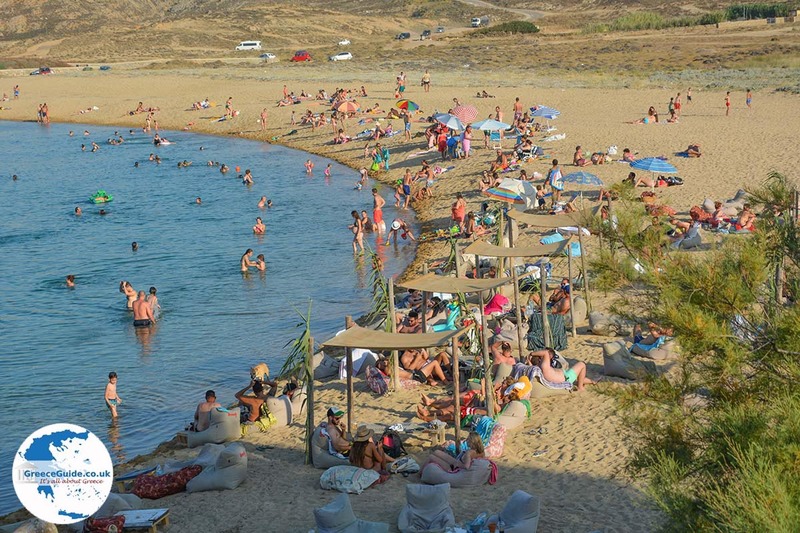 Ftelia beach. 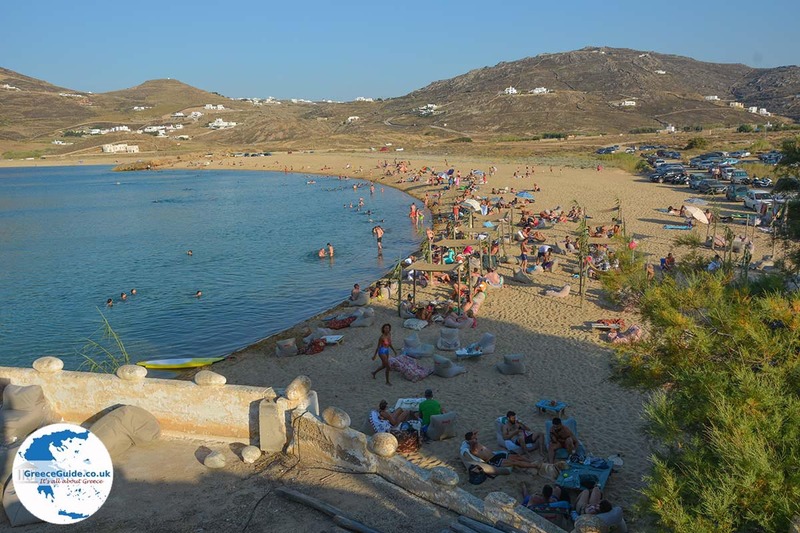 Ftelia (Fteliá) is a sandy beach on the central northern coast of Mykonos. 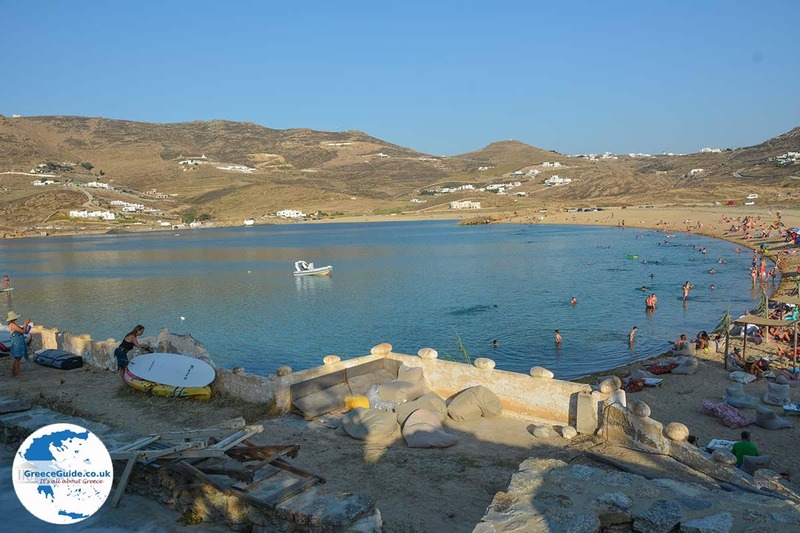 It is located 7 kilometers northeast of Mykonos town, in the middle of the bay of Panormos. 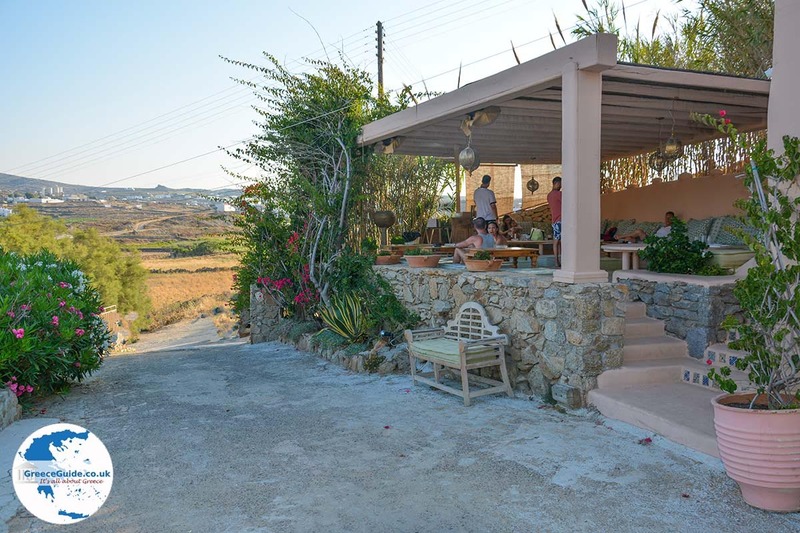 The route to follow is through the provincial road to Ano Mera. A small traffic sign indicates that you should turn. The roads that follow the exit are narrow and curvy. The last section to the beach is even a dirt road! 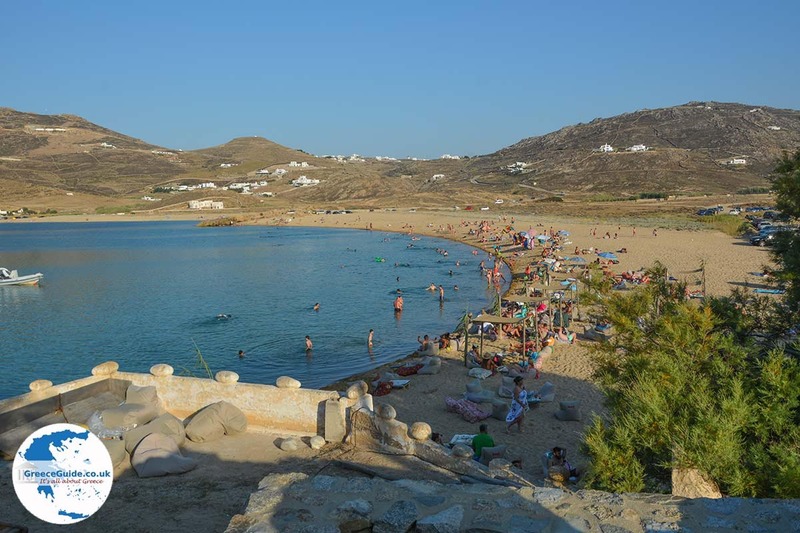 Ftelia beach is a very nice, quite large, sandy beach. 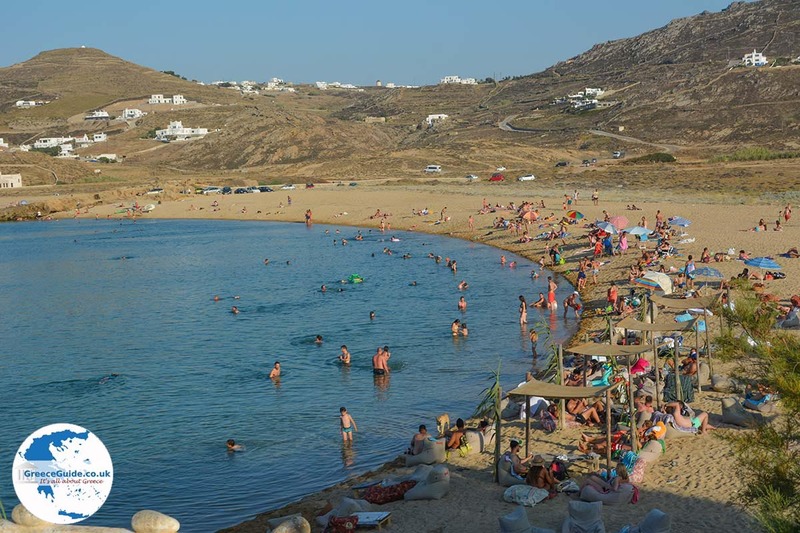 There is ample parking behind the beach. 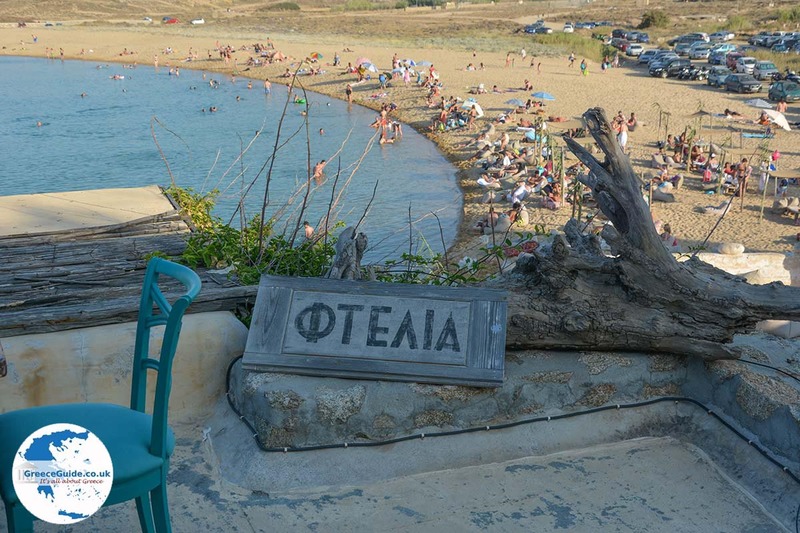 To the left of the beach is the taverna 'Ftelia' located. 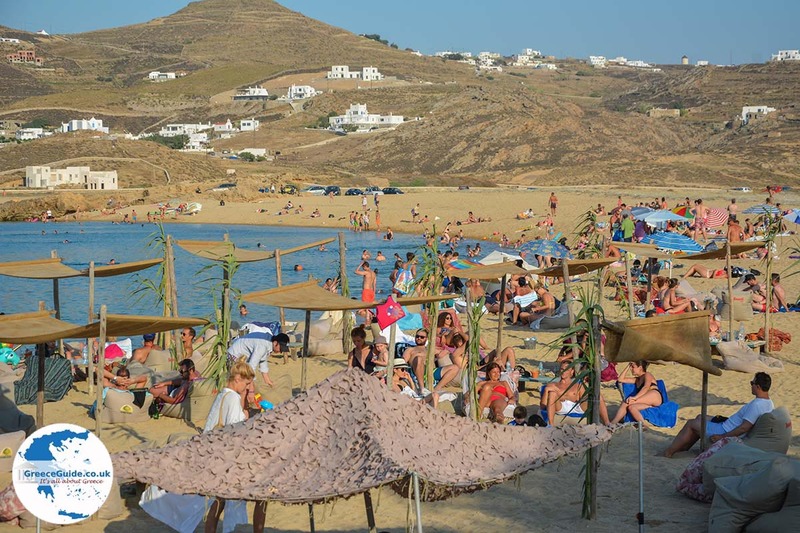 On this side of teh beach, are sun loungers, umbrellas and lounge beds for rent. 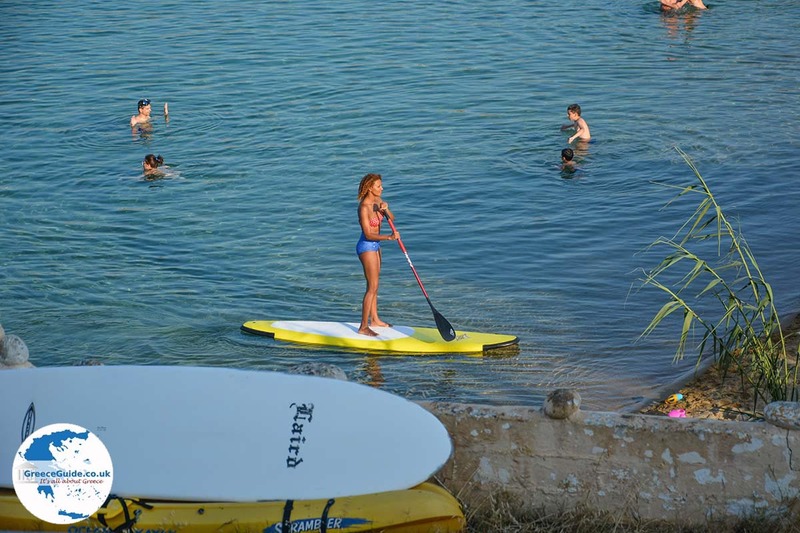 On the beach ou can practice some water sports such as paddle boarding. 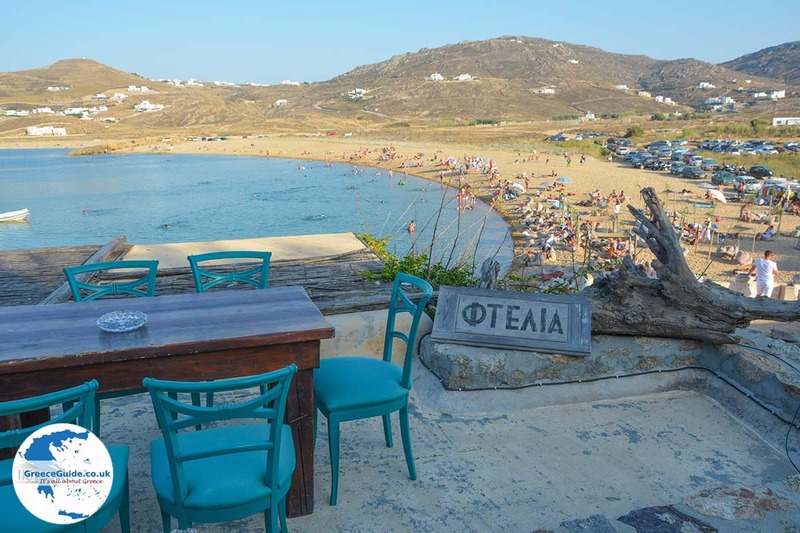 The beach of Ftelia is very cozy, not too noisy, ideal for reading a book on the beach. In teh are around are some apartments and studios for rent. 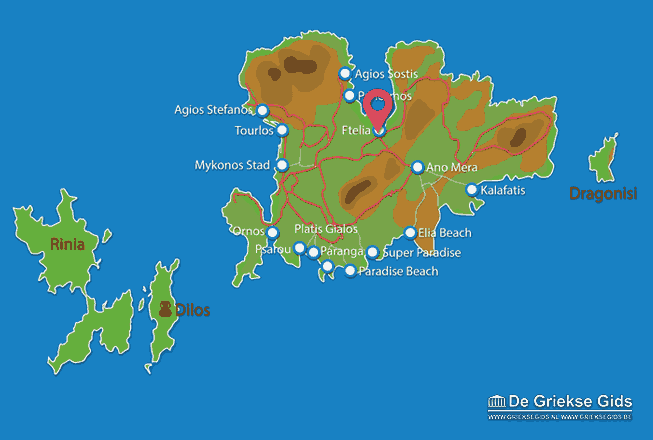 Mykonos: Where on the map is Ftelia located?